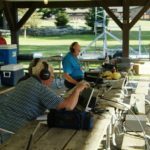 Below are a few pictures from our joint Field Day 2017 effort with the Indianapolis Radio Club. The Field Day location was the Belzer Boy Scout Camp on far East side of Indianapolis. It was quite the set up with several stations on the air and plenty of food and drink. 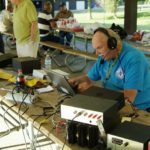 The Blue River Valley Amateur Radio Society has been invited to join together with the Indianapolis Radio Club in a joint Field Day 2017 exercise. Details are listed below. WHEN: Field Day is held the last full weekend in June. This year’s dates are Saturday, June 24 and Sunday, June 25th. For us, Field Day starts Saturday at 2 p.m. local time and goes for 24 hours until 2PM Sunday. 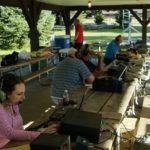 If you volunteer for on the air operations, you don’t have to be there when Field Day starts. It’s only necessary that you arrive before your scheduled shift (nor do you have to hang out the whole 24 hours). 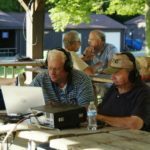 WHERE: Indianapolis Radio Club Field Day Operations are held at Camp Belzer (which is the Central Indiana Boy Scouts of America camp ground). The address is 6102 Boy Scout Road, Lawrence, IN 46226. Boy Scout Road is located on the east side of Indianapolis about a 1/2 mile east of 465 on 56th Street (there is an exit for 56th Street off of 465). Turn north on Boy Scout Road. The camp entrance is about 3/4 of a mile down on the west side (it is well marked). Operations will be set up next to the main parking lot. We will be occupying the main shelters, you can’t miss us. Here is a link to a map for Camp Belzer. The site will be open the whole 24 hours during FD. And for the most part, a lot of people come and go over the course of the day. At any given time, there are usually 20 to 30 guys/gals on site. So even if you just want to stop by and see what’s going on, there will always be a ham there to meet and talk to. 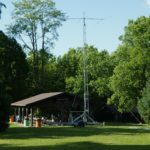 There will be 3 HF radio stations (two SSB stations and one CW station). All 3 of these stations will be on the whole 24 hours. There will also be a 6M station that will be available. One cool thing about the 6M station, because it will be Field Day, there will be thousands of other FD stations operating on 6, if there are any 50 MHz openings, the band can see a lot of activity. There’ll also be a, “Get on the Air” station (commonly called a “GOTA” station). The GOTA station is for any ham who has a license but hasn’t been on the air (it is also for the ham who hasn’t been on for a while). 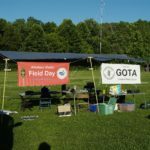 So, if you’ve got your license (which includes the Tech) but haven’t had a chance to use it (or you’ve been away from ham radio for awhile), Field Day is right down your alley. It’s the perfect opportunity to actually get on the air using the shortwave frequencies while another ham sits right beside you. That ham will show you what to do and you can actually make some contacts. It’s a lot of fun and a great way to, “Get on the Air”. Also, the GOTA station is open to anyone who is not a ham. 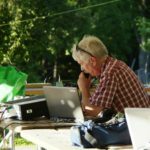 So, if you know someone who might be interested in amateur radio, get in touch with them and bring them out to the Field Day site. 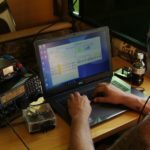 They can actually use a radio and meet a bunch of other hams and see how much fun it is and what it’s all about. 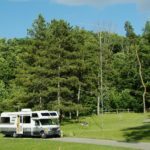 Overnight camping is available right at the Field Day site (it is free). A lot of guys like to camp for Field Day and hang out (even if they’re not operating). Yes, it may be the Boy Scout camp on the edge of the city, but it’s still camping. Bring your tent, camper or van and favorite sleeping bag (don’t forget a pillow). Men’s and women’s facilities are available (also showers). If you like, bring a cooler with your favorite snacks, sandwiches and drinks. Field Day setup is huge. Because we can’t begin setup until 10AM, that leaves only 4 hours to get everything ready. This is where the whole purpose of Field Day really plays out. That is, the idea of setting up an emergency radio station with only a few hours notice and then conducting non-stop communications for 24 hours. In the past, there have have been a number of guys who showed up for setup and we need your help as much as ever this year, too. If you’re a setup guy, please come out to Camp Belzer Saturday morning and help. It’s important! FD setup is from 10:00 a.m. to 2:00 p.m. Tear down is from 2:00 p.m. till 3:00 p.m. +/-. Click on the blue link below to view the schedule on the internet. You’ll see there are 3 stations listed. Each station has 24 time slots (one slot for each hour). Thing is, you can’t edit the schedule yourself (you can only view it). Look the schedule over and pick out the slot or slots you’d like to help with. One hour shifts are welcome, but we encourage a two hour shift. Also, If you can do two shifts, say one in the afternoon and then one later in the evening or next morning, please do so. It’s important we have as few empty slots as possible. So click on the link, pick out a two hour slot you’d like to operate. Then send us an email letting us know what time and what station you’d like to help with. When we get your email, we will put you down for the time and station you picked. Then we’ll send you back an email confirming your time/station so you know you’re on the schedule. That email will also contain the link to the schedule. Please click on the link and check that we have you down correctly. If so, no need to reply. If it’s not right, shoot us another email and let us know. We’ve been using this email signup procedure for 4 years now and it works great. Okay, here is the link to the schedule.